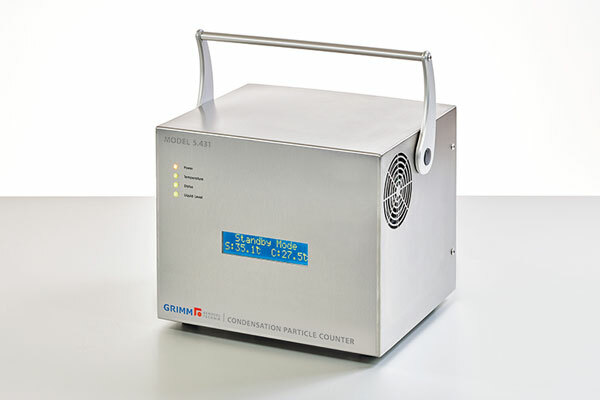 The GRIMM 5430 is a high accuracy stationary particle counter for automotive emission measurements with improved response time (t10-t90 < 3 s) and an aerosol flow rate of 0.6 L/min. The instrument complies to the GPRE particle measurement program (PMP) for Euro 5 and 6 regulation 83. The new detection head enables single particle counting up to 50,000 particles /cm³ with a coincidence correction <10% for up to 23 000 particles/cm³. As with all Grimm CPC models, the 5430 features the well-established condensate removal and anti-spill saturator design with an integrated saturator shutter, enabling the transport of the CPC without removing or drying the saturator.